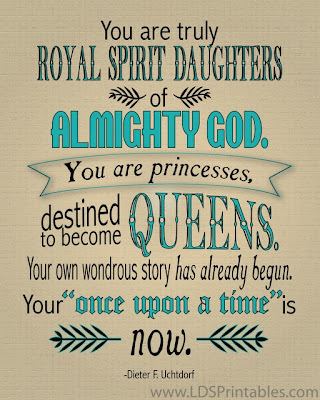 A Princess Destined to be a Queen! My daughter's birthday is coming up in a few days and I've been thinking what can I give her before she blows her candles. People love spending a fortune on gifts, and is quite sad. To be honest, I think they are missing the whole point. I am a strong believer the best gifts comes from the heart. When I found this print, it almost made me cry. Is perfect in every single way. This reminds me so much of my daughter and the special relationship we share. If you love someone you need to tell them, because hearts are often broken for words left unspoken. 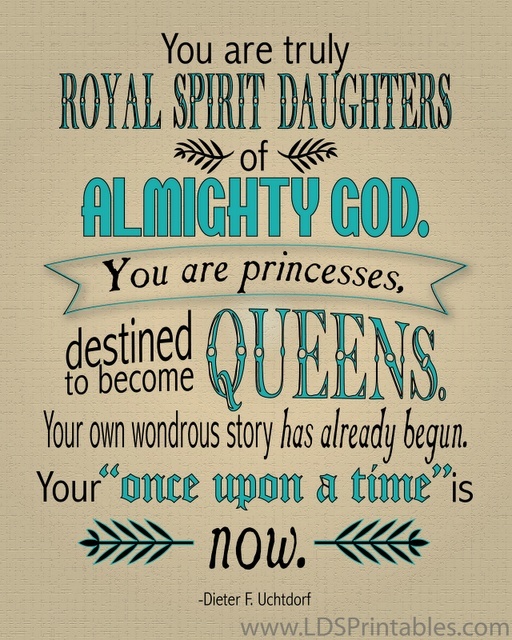 If you want to download this beautiful print and share it with your daughters please visit LDS Printables!